The best betting sites for US gamblers allow them to make deposits using a wide range of deposit methods. It is always important to do a little research on deposit options available at a sports betting site before you sign up. This is important as the online betting site you want to use may not offer the deposit and withdrawal methods you would like to use. We have created a trustworthy guide to help you navigate through the stormy waters of online banking at a sportsbook. So, instead of researching the types of payment methods offered by top US betting sites, you can just read on. Our guide below covers it all. Not only have we got a list of popular betting deposit options that US players can use at top USA bookmakers, but we also list the sports betting sites with the best available banking options. So, what are you waiting for? These sportsbooks offer bettors a wide range of banking methods. Make deposits and withdrawals at your leisure at these sports betting sites. US bettors are spoilt of choice when it comes to deposit options. They range from cards to swift, secure online payments. We’ve compiled all sorts of deposit methods for you to choose from and a quick brief on each below. After, you will find a simple guide on how to make deposits at your favorite bookmaker. Credit and debit cards are still the most accepted form of payment for online gambling globally. This is also true for USA betting sites. The card is the best way to go for lowest limits and largest maximum transactions using your bank. US bettors can use their Visa, MasterCard, Maestro, Entropay and American Express cards to fund their online betting account. Visa and Maestro debit cards are widely accepted by the best USA online bookmakers. 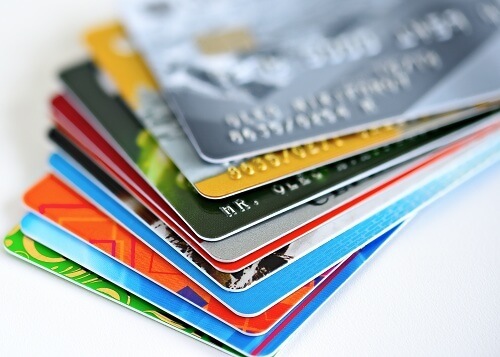 Usually, these cards are directly linked to your bank account and funds are drawn from your credit balance. US bettors can fund their betting accounts without encountering any transaction fees, should they make deposits in the same currency. Bettors in USA can also make use of prepaid debit cards. Visa, MasterCard and American Express credit cards are widely accepted by USA bookmakers online. In most cases, US players will find each option available at top betting sites. Credit cards rarely have any fees attached to them. So, bettors can expect to be charged nothing to a minimal amount when making a deposit using their credit card at a betting site. These charges usually come from banks as cash transactions and not from bookmakers. There are various digital wallet options for gamblers at the best US betting sites. eWallet services allow American bettors to move money in and out of their existing bank account. More so, eWallets at betting sites come with a whole lot of benefits. The advantages of using digital wallets involve bettors not constantly being required to enter their card numbers on betting sites. They can just simply enter the account number associated with the eWallet service. Should you change your bank card following an expiry or due to whatever circumstances, you will only update your details in one place (your eWallet account). That way you won’t have to visit all the betting sites to change your payment details. Moreover, digital wallets for betting are recommended for players that have various betting accounts. They are useful in that you can easily monitor your winnings and losses. Transactions from online bookmakers also do not appear on your bank statements when you make betting deposits using eWallets. This adds not only to personal privacy but security as well. PayPal is one of the most popular payment methods available to US bettors alike. The electronic payment system was founded in 1999 by Confinity and sold to eBay in 2002. 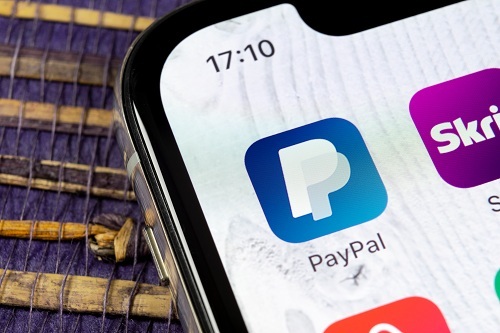 In 2014, PayPal was spun into a standalone company and has since attracted millions of users worldwide. PayPal account holders can use the eWallet for betting among other things, such as shopping. Gamblers can easily make transactions by authorizing their bank account with PayPal. Then, they can fund and withdraw money from online bookmakers. The best bookmakers accept PayPal as a payment method. Neteller works similar to PayPal. It is one of the major digital eWallet provider. 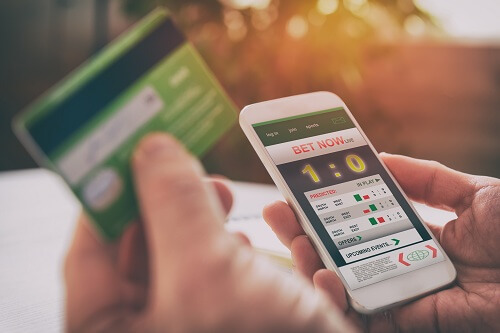 At one point, the service provider was said to process payments for 80% of the gambling sites worldwide due to its long association with betting websites. The best USA betting sites accept Neteller as a payment option. However, bookmakers may not offer welcome bonuses to gamblers who use Neteller due to previous abuses. US bettors can use gift cards, vouchers and prepaid payments at betting websites. These can be purchased either online or at a physical store. Betting offline using vouchers and cash may be old fashioned but the method is still preferred by some gamblers. 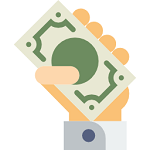 A bank wire transfer is essentially you authorizing your bank to transfer money from your bank account to another. Usually, bettors do not encounter any chargers from online bookmakers for depositing via bank wire but your bank might charge you for such services. This usually happens when players transfer money between two different currencies and countries. There are two types of bank transfers available to American bettors and are as follows. Western Union is one of the most popular money transfer services in the world. Most bookmakers in the US accept deposits using Western Union (WU). However, such deposits usually come with a fee attached to them. Older gamblers may be familiar with this kind of payment method. A check is essentially a document which was and still is used to order a bank to pay a specific amount to another person in whose name the cheque has been issued. The recipient would then take that piece of paper to the bank and wait several days, if not weeks, to get their cash. Some gamblers still use checks to make deposits at their favorite bookie. Quite a few online bookmakers accept check as a payment method. However, you should note that payments can take days to clear, and only then you will be able to place some bets. Bitcoin is a popular virtual currency. The cryptocurrency in completely digital and not linked to any economy or country. However, Bitcoin is supported by networks of people using them. Many of the best betting websites in USA accept Bitcoin deposits. Bettors can use Bitcoin as an alternative to traditional banking methods. These are four easy steps that players need to follow in order to make a deposit at US online betting sites. Register/login to your betting account – obviously you will need to have an existing betting account with your favorite bookmaker to start placing wagers. Click the deposit button once you have registered or logged into your betting account. The site will then take you to the deposit screen. Fill in the deposit information – once you’ve landed on the deposit screen, there will be information that you will need to fill such as your preferred deposit method, your personal details and the amount you wish to deposit. Make sure you double check the information before you confirm your deposit. Confirm and start betting online! Proof of Address (bank statements, utility bills issued in the last six months.